The first time I had this pie was at my mother in laws house. It was so good. The second time I had it, she didn't put nuts in it. I asked her if the pie was supposed to have it and she said she never makes it that way. Ok, so my memory isn't great all the time but I know nuts and I KNOW they were in there. I don't think I ever saw the pie made with nuts again but I was determined to figure it out. After she passed away I decided to check out some church lady cookbooks to find an oatmeal pie recipe that called for nuts. Sure enough I found one. Guess who's name was on it? Yep, my mother in law Pat! So yeah it called for nuts! I don't make it real often but when I do I put the nuts in it and add extra on top! Miss you Pat, LOVE the pie! Mix together butter, sugar, eggs, salt, and vanilla. Add remaining ingredients in the order given. Mix well. ﻿Pour into unbaked pie shell. 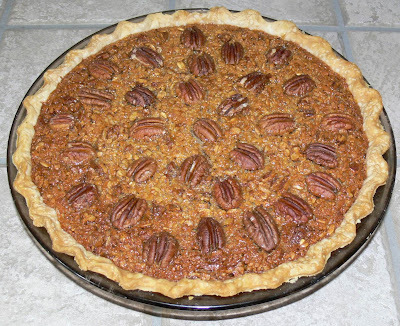 Add pecan halves on top for decoration. Bake at 350 degrees for 50 minutes. Cool and serve with whipped topping or ice cream. G'day! 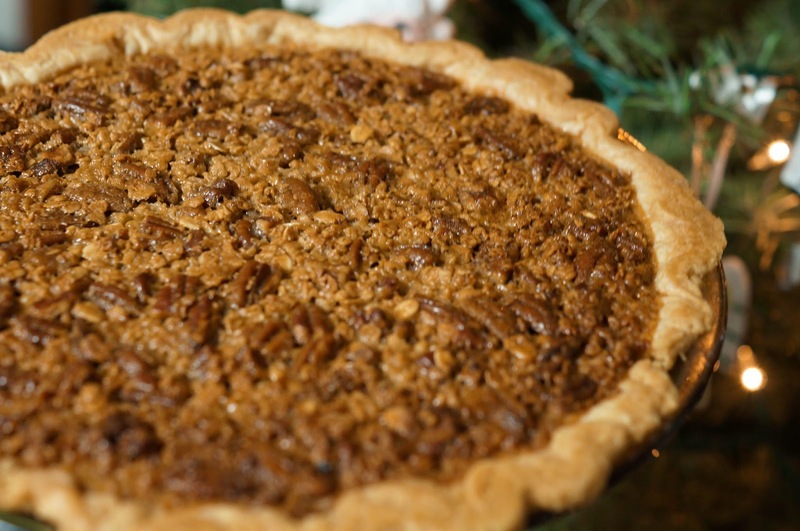 LOVE pecan pie, TRUE! Have MANY wonderful childhood memories of it and yours with Oatmeal looks VERY healthy today too! Thank you for stopping by! I still laugh about the nuts when I make this recipe. Looks Great Hope I get to try it.Love the story,I swear My Mother in Law did something similar to me.She had made a Strawberry pudding..Like Banana pudding..When I asked the next year for it she said I never made that before.lol..Sometime later she told me she found the recipe. I'm a big pecan pie fan, love this. Pinning and sharing this weekend. G'day! Love the combination Jenny, true! Could I have a slice of this right now to go? Thank you!